Robert Zend, photograph by Aniko Zend-Gabori, 1985, courtesy of Janine Zend. "Poet, fiction writer, multi-media artist (born in Budapest, Hungary, died in Toronto, Canada on 27 June 1985). Robert Zend was a Hungarian-Canadian writer who fled to Canada as a political refugee in 1956, the year of the failed Hungarian Uprising against the Soviet regime." Zend was a notably free spirit who was among us for a while and, who, now that he has gone, is irreplaceable. All we can do is read and admire what he has left us. Once Robert Zend told me that I was a poet of gestures. Once I told him he was a mime with words. Robert Zend is a poet in every moment of his life. After settling in Toronto, Robert Zend was employed for many years by the Canadian Broadcasting Corporation, working his way from shipper to radio producer of close to a hundred literary and documentary programs. In 1969 he earned an MA in Italian Literature from the University of Toronto. Zend wrote in Hungarian and English, and his oeuvre spans several genres: poetry, concrete poetry, fiction, plays, and essays. He was one of the most inventive and versatile of Canadian writers. Robert Zend's first book was From Zero to One (1973), a collection of poetry. With a sense of irony and playfulness he explores most of the major themes that would preoccupy him for the rest of his life: exile, science-fiction and fantasy, the writer as creator, romantic love, and the cycle of birth and death. The dilemma of exile from homeland and language echoes throughout this book. He writes of feeling like a person with no country, acutely aware of his "solitude among a thousand people," and also expresses frustration at having to restart his career with a menial job "at the dreadful place where the supervisors / imagine themselves prison guards." Zend prefaces his second poetry collection, Beyond Labels (1982), with a statement delivered at the 1981 International Writers' Congress about the "complete senselessness of labeling people." The poetry continues the theme of displacement: "Budapest is my homeland / Toronto is my home / In Toronto I am nostalgic for Budapest / In Budapest I am nostalgic for Toronto / Everywhere else I am nostalgic for my nostalgia." In addition to poems of a personal nature, Zend expands his perspective in poems with more cosmic concerns--the universe, time, and dreams--as in "Time," which features an hourglass with infinite top and bottom. He also branches out formally with haiku, sonnets, a "prelude and fugue," epigrams, and most strikingly, concrete poetry called "ditto" and "drop" poems, whose words are composed using only the letters of a single word or phrase. These concrete poems were developed by Zend into an art form in Arbormundi (Tree of the World) (1982), a portfolio of images created by superimposing characters on a typewriter. His "type-scapes" are remarkable for their meticulous execution and delicate textures. Zend's interest in science fiction and fantasy reached a zenith in his short fiction, selected posthumously by Janine Zend and published by Cacanadadada Press as Daymares (1991). Shape-shifting characters, dreams within dreams, anachronisms, and paradoxes keep the reader adrift in a fantastical realm whose often dark irrationality probes mysteries of humanity. These stories are akin to the mind-bending labyrinths and dreamscapes of Jorge Luis Borges. Zend's magnum opus is generally recognized to be Oāb (1983, 1985), a two-volume multi-genre fantasy about authorship and creation. "Zėnd," a character in Zėnd's own creation myth, writes a being named Oāb into existence. Oāb in turn creates Ïrdu. Like tireless children on a playground, Oāb and Ïrdu romp across the pages, creating a compendium of games and puzzles using the letters in their names to create shapes and explore their universe. The effect of this alphabetic creation is encyclopedic. Robert Zend was a Canadian original. Although he garnered few awards during his lifetime, his works won the accolades of artists, writers, and musicians in Canada and around the world, including Jorge Luis Borges, Northrop Frye, Marcel Marceau, Glenn Gould, Norman McLaren, Richard Kostelanetz, and Margaret Atwood. His prolific and versatile body of work assures him a place of honour as a Renaissance man of Canadian letters. "[Zend's] outlook was international, starting with his high school and university studies of Italian literature and readings of world literature in Hungary. And after Zend’s arrival in Toronto, Zend sought not only Canadian affinities but also artistic and literary friendships and inspiration around the world, perhaps most significantly with Argentinian writer Jorge Luis Borges but extending to writers, artists, and traditions in other countries such as France, Italy, Belgium, and Japan. Zend, no respecter of cultural boundaries, enthusiastically sought out the literature and art of other nations." "[Zend's] writing thematically dissolves geographical, political, and social boundaries to explore humanity’s place within the cosmos as well as fantastical realms that often involve dreams and time travel. He writes more traditionally about such subjects as romantic relationships and the dilemmas that he faced as an immigrant, but many other works develop philosophical concepts about the connectedness of all persons to one another and to the universe." "Zend was a polymath, and he used whatever materials were at hand to create works that are multi-genre and multi-media. 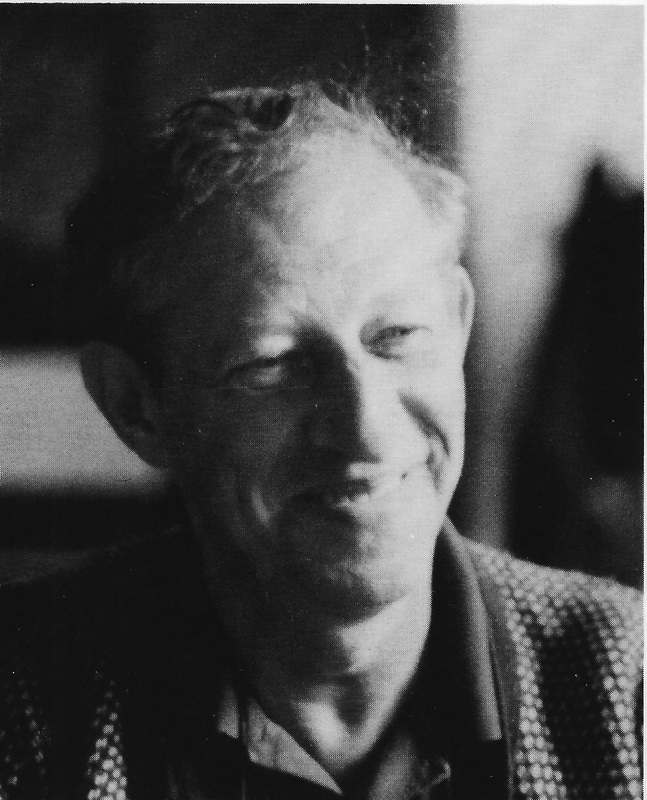 During his twenty-nine years in Canada he wrote poetry, essays, fiction, and plays; created collages and concrete poetry; used found objects such as cardboard tubes for creating three-dimensional visual poetry; and researched, wrote, directed, and produced over a hundred cultural documentaries for the Canadian Broadcasting Company (CBC). He was also a musician, filmmaker, and self-described “inveterate doodler.” [...] And some of his works defy classification, such as the two-volume multi-genre Oāb (1983, 1985)."